Recent survey by PeoplePerHour ranked Bangkok as the best city in Asia and the seventh best city in the world to launch a start-up. At the same time, the government is focusing on increasing Thailand’s ranking in the World Bank’s Ease of Doing Business index from 46 to 49, with Thailand currently ranked in ninth place in Asia. What does this mean for people looking to set up and start-up businesses in Thailand? With some limited exceptions, all businesses incorporated in Thailand must be majority Thai- owned. There are exceptions include for companies with a majority US shareholding, with Board of Investment (BoI) approval and representative offices. There are restrictions and conditions imposed on these exceptions and they may not be applicable to many start-up companies. A company incorporated with a majority Thai shareholding must currently have a minimum of three shareholders and at least one director. Nominee shareholdings are not permitted under Thai law and there are severe penalties for both nominee and the company and its directors. Structures such as preferential shareholdings and shareholder loans, to ensure that the minority shareholders exercise effective control, should also be treated with caution as they may provide an indication of nominee shareholdings. Companies must hold at least four meetings of their Board of Directors and an annual shareholder meeting (AGM). One of the key issues for the AGM is to review and approved the audited financial statements. These are submitted with the records of the AGM to the Ministry of Commerce (MoC). Once these are accepted by the MoC, they become publically available records. A critical issue for many start-ups is the use of foreign talent. Foreigners working in Thailand must have a work permit and a residency visa. Although the scope has recently been narrowed, the definition of ‘work’ for immigration purposes is broad and not dependent on whether the employee is paid in Thailand, has a Thai email or work address or their time in Thailand. For each work permit, a company must have 4 Thai employees and minimum capital of THB 2 mln. These requirements can often be onerous for start-up companies with limited capital and resources and where the distinction between shareholder, director and employee are often blurred, particularly in the initial period of operation. Foreigners can serve as directors. A number of the activities of directors constitute ‘work’ and work and residency permit may then be necessary, including for foreign directors not based in Thailand when they undertake ‘work’ as a director in Thailand. DTAC’s Accelerate Programme is one of a number of well-regarded and beneficial programmes to assist start-ups. These are primarily intended for Thai start-ups. The BoI also has incentives and programmes to assist SMEs and these could also be useful for start-ups. However, they are largely limited to majority Thai-owned companies. In the regional and global economy in which Thailand operates, a significant issue is attracting foreign investment, talent and skills for Thailand 4.0. This requires Thailand to be well ranked and compared to global and regional rivals. A critical issue is the ease with which foreigners can operate and work. The process to obtain work and residency permits in Thailand compares well to its immediate neighbours but is more cumbersome, uncertain and costly than rivals such as Hongkong and Singapore. The restrictions on foreign ownership of companies also serve as a disincentive to foreign investors, who are typically looking to fund the start-up and provide much of its intellectual property (IP) and the products and services on which the company’s operations in Thailand will be based. A majority Thai shareholder has the power to determine the composition of the Board and the outcome of the AGM. Whilst this can be addressed, to an extent, by agreements between shareholders and the role of the CEO and senior management, ultimately a minority foreign shareholder will need to assess the risks in allowing their Thai shareholder/s to have and potentially exercise this power. The majority shareholder is entitled to dividends in proportion to their shareholding, even where this differs from their contribution to the capital of the company. A related and significant issue arises when the company considers listing on a stock exchange or acquiring a shareholder to expand the business of the company. A minority shareholder would be entitled to the proceeds in proportion to their shareholding and not to their investment. Although shareholder agreements and company loans can address this, it creates further complexity and uncertainty over enforcement of such agreements and loans. This can often make other investment destinations, which have fewer restrictions on foreign ownership, such as Singapore, more attractive. A further issue to consider is the IP of the company. Although it is improving, Thailand has an unenviable reputation for the protection of IP. Enforcement of IP rights in the Thai courts can be time consuming, protracted and uncertain. IP provided by a foreign shareholder should be subject to agreements on the use and licensing, taking into account the risks once the IP has been provided. There are a number of issues to consider before starting up a business in Thailand. Although the environment has become more welcoming to foreign investors, shareholders and talent, the issues and the medium and long term objectives of the company should be considered beforehand. Commercial and legal advice on the advantages, risks and issues may prove to be one of the best investments in a start-up. Alan Polivnick is a partner in the Bangkok office of Watson Farley & Williams and has been based in Bangkok since 2007. He regularly advises MNCs, international organizations, banks and financial institutions, individuals and service providers on investing in Thailand and on existing operations in Thailand. 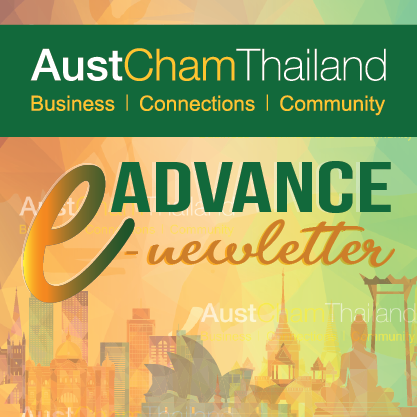 Alan has recently advised a number of IT and high tech clients on setting up local, regional and global operations in Thailand and the region.